Since the early days of the internet websites have been a crucial tool for businesses and projects to get their message out and connect with customers and supporters. Over the years websites have evolved to reflect the level of technology that people are using. As the personal computer grew in capabilities and screen size, so did websites grow in complexity and viewable size. Now with the advent of mobile devices, websites need to cater a wide variety of screen size. From large screen wide aspect monitors to vertically oriented mobile phone screens. To handle this, todays website need to be RESPONSIVE. This means that they detect what the incoming device is and then respond by dynamically adjusting the site layout to properly fit the screen size and orientation. To reinforce the need for website to be responsive and cater to the mobile devices, consider the latest statistics. "Mobile internet shows promising projections for the next future, as global mobile data traffic is expected to increase nearly a sevenfold between 2016 and 2021. As of February 2017, mobile devices accounted for 49.74 percent of web page views worldwide"
Numerous other sources confirm this dramatic shift to the prevalent use of mobile devices. Today, responsive websites are a must-have. Basically, SEO or Search Engine Optimization is the practice of structuring the pages of your website to enhance the "findability" of your site. Meaning getting better placement in the results displayed to someone searching with Google or other search engines, such as Bing or Yahoo, etc. In today's world, search engines are smart. ​Basically the best performing websites are ones that have good quality, user-friendly content. In other words, ones that genuinely help the user to get the information they are looking for and answer their questions quickly and straight forwardly. Social media integration is connecting your website to other related sources of information and reference. Websites are not stand-alone objects, they need to interact, enhance, and amplify your online presence. Websites should be one of many ways you communicate with the world, and should provide a seamless bi-directional user experience. Communication is the key - and using all the tools available will make you stand out form the crowd. Mark Steputis has been in business for over 18 years and has worked with hundreds of clients of all types. 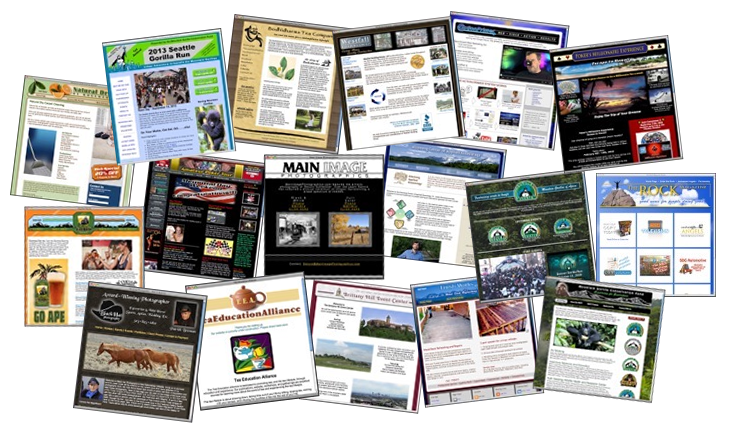 Check out my complete portfolio of work, including websites of all types, logos, and graphics for print and web. Inbound Marketing is the new way to get customers and supporters. It refers to the process of using quality content to provide people with useful information. Then through a gradual process of providing more and more helpful information you attract them in to your product or service offerings on your website. Mark Steputis is a certified Inbound Specialist through HubSpot Academy. Check out my Inbound Marketing page for more information on how you can take you business to the next level.